The Missouri School of Journalism welcomes applications for study abroad terms from our international partners listed below. Interested students from those institutions listed below should contact the appropriate advisor at their home institution to apply for the required nomination. All applicants must be recommended by their home university to be eligible for studying abroad at Mizzou. Additionally, applicants must provide evidence of the equivalent of a US GPA of 3.0 or higher in order to be considered for acceptance. If submission of IELTS or TOEFL is required, applicants must provide evidence of appropriate scores for admission to the Missouri School of Journalism. *All deadlines falling on weekends or holidays correspond to the following Monday. Click here to view the University of Missouri's official academic calendar with beginning and end of semester dates and semester holidays. Incoming exchange students should be aware to include our required orientation week, usually one full week prior to the first date of classes noted on the official academic calendar. This mandatory orientation week includes meetings with faculty and the on-site registration for classes. 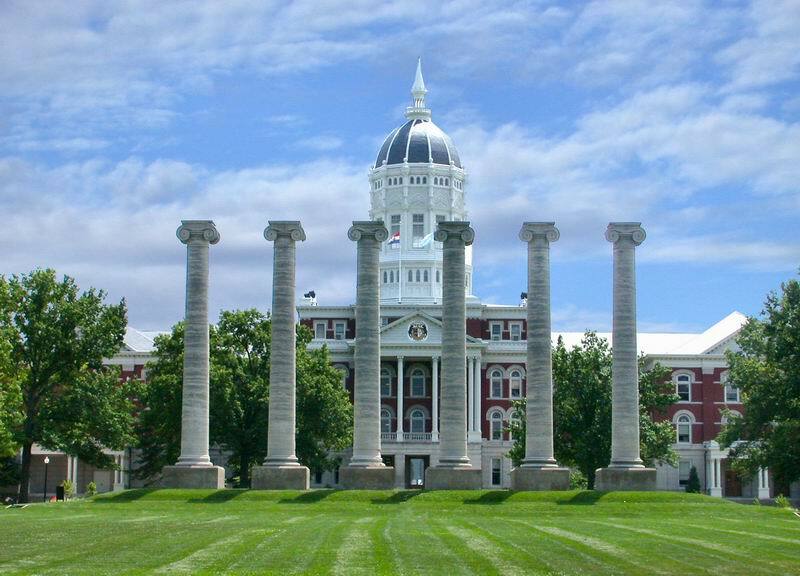 In order to be considered for admission to study abroad on exchange at the Missouri School of Journalism, your home institution must currently have a reciprocal exchange agreement with the Missouri School of Journalism. In addition, your home institution must officially nominate you for acceptance before you should apply for this exchange program. Obtain the link to the online application from the international or study abroad office at your home institution. The application fee is waived for this process. Step 2: Submit supporting documents. Once completing the online application, watch for an email requesting the submission of the following supporting documents. All supporting documents should be scanned and attached as PDFs to an email sent to MUJournalismAbroad@missouri.edu through their home university advisor. ​See more information and minimum score requirements on the International Admissions website. Not required for students from predominantly English-speaking countries who speak English as their first language. Specifically, waived for applicants from Australia, New Zealand, and the UK. ​Affidavit of Support Form stating ability of student or sponsor to cover estimated expenses for duration of study in the US. Bank letter, signed statement verifying that the sponsor listed on the Affidavit of Support Form has sufficient funds to cover student expenses not included as part of the exchange agreement. (See estimated expenses for a semester or academic year at Mizzou). Bank statement must be current and cannot be printed from the internet. For more information, please visit our MU International Center financial documentation and support webpage. Course Request Form International exchange students at the Missouri School of Journalism must take 12 credit hours. Please note additional details below and on the course request form. Applications will be reviewed following the posted application deadlines. Official decision notifications will be sent during the month of May for a fall semester / August start and during the month of November for a spring semester / January start. Have any questions? Email the director of study abroad for the Missouri School of Journalism at veltropt@missouri.edu. Students should review the following to become familiar with our academic program. Note, that while course selections are reviewed in the application process, actual course registration will take place on-site during the orientation week prior to classes. Of those 12 credit hours, exchange students must take at least 6, but no more than 9, journalism credit hours. Enrollment in at least one non-journalism course (3 credit hours) per semester is also required. Non-journalism courses include studies in psychology, art, political science, history, etc. In order to enroll in these courses, students must have met all necessary prerequisite courses. Graduate exchange students from Sciences Po and Waseda University may be eligible to enroll in graduate-level classes at the University of Missouri. Exchange students from all other programs must select undergraduate-level courses. When completing the Course Selection Form, applicants should refer to course options online. Click on “Browse Course Catalog” under “Guest Access” to view the course offerings. Click on “Schedule of Classes” in the same section to determine which classes are offered during the semester you plan to study abroad at MU. Be sure to select the corresponding term from the drop down menu. The Course Request document is used to create a preliminary schedule of classes for exchange students. The Course Request document is not a guarantee that the student will be enrolled in the options they have chose. While every attempt is made to enroll students in the courses they request, specific course registration is the purview of the academic department, which has governance over any specific class. Course enrollment requires approval of appropriate faculty, and may require the submission of additional supporting documents, such as samples of students’ work or portfolios. Conferences with faculty, submission of portfolios, and additional course selection will take place during the exchange students' orientation week, prior to their first week of class. The final schedule of classes (12 credit hours) will usually be completed just prior to the first day of classes and certainly before the end of the first week of classes. 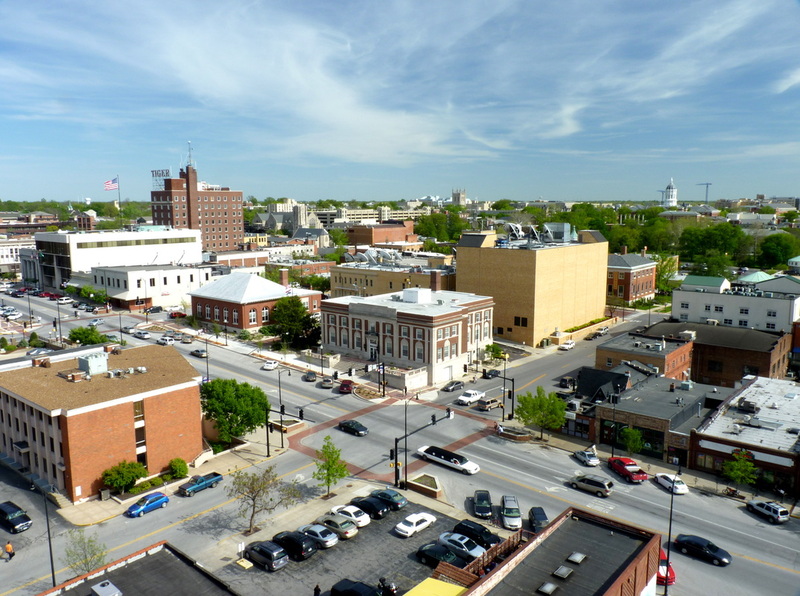 The Global Programs Office with the Missouri School of Journalism will pre-arrange housing in residence halls for students who desire to live on campus. Demand for student housing is quite high. International students are typically housed in the Defoe-Graham or Hawthorn Residence Halls, as they remain open throughout the holidays and breaks, and are centrally located on the University campus. Those who wish to live in private apartments must arrange housing independently. Information about living options can be provided to exchange university partners upon request. Students participating in the Washington DC Internship Program are required to use university housing which is included in the program fee. Complete information regarding university housing and meal plans can be found on the Residential Life website. To ensure that all students have adequate coverage to pay for medical expenses, all international students will be billed for the appropriate MU mandatory health insurance plan upon arrival. There are no exceptions. ​Enrollment in the plan is automatic, although waivers may be granted during the first days on arrival if providing the appropriate information when requested. Incoming exchange students will receive information on this process with emailed pre-departure communications from the Global Programs Office. ​Information regarding the mandatory health insurance can be found on the University of Missouri page of the Aetna website. All MU students must review and comply with the MU Immunization Policy. Visit the MU Student Health Center web pages to learn about the current required immunizations and to complete the appropriate paperwork. See MU Student Health Center Forms & Policies. Estimated costs per semester: These are costs not covered by the exchange agreement. Although the exchange agreement covers most educational fees at MU, some schools and colleges charge supplemental fees for courses in their area to cover the cost of labs, specialized equipment, and other academic needs. Exchange students enrolling in these courses will be responsible for paying such fees and should budget accordingly. Updated information pertaining to fees for specific coursework can be viewed by visiting the University of Missouri Cashier's Office website. See MU International Center for information on Estimated Expenses for an outline of expenditures and further details. Schedule your visa interview appointment at the U.S. Consulate. Visa interview appointments fill quickly, so please schedule the interview as soon as possible. Remember, education visas are a priority at the U.S. consulate or embassy. You will need the SEVIS number located in the upper, right-hand corner of the Form DS-2019. If possible, contact the local EducationUSA Advising Office for counseling regarding the visa interview process. Carefully review the Prepare for My Arrival section on the Study in the States website. Know some facts about the City of Columbia that make it an attractive place to live and go to school. Students should plan to arrive on the suggested arrival date. International Student Orientation will begin shortly following that date. Please refer to the information provided in your admission packet for specific dates on which you should prepare to arrive. The following information may be helpful as you prepare to travel. Visit the EducationUSA website. If possible, plan a visit with the local EducationUSA advising office for additional assistance and travel preparation. Students participating in the Washington DC Internship Program should make arrangements for ground transportation from either Reagan National Airport (DCA) or Dulles International Airport (IAD) to WISH student housing.